The Academia Europaea-Barcelona Knowledge Hub (AE-BKH) is pleased to announce the Call for Nominations for the first edition of the Barcelona Hypatia European Science Prize, awarded by the Barcelona City Council. This Prize, in the amount of 30,000 euros, recognises an outstanding researcher who has achieved a career of excellence at the highest international level in Europe and has made a significant contribution toward different fields of knowledge, as well as a positive impact on society. The first edition (2018) of the Prize will recognise a research career focused on Science and Technology. Throughout the terms and conditions of the Prize, the words science, scientist, and researcher refer to all areas of human knowledge, from experimental sciences and technology to the various social sciences and humanities. The name of the Prize, Hypatia, gives homage to Hypatia of Alexandria (c. 355–415), an exceptional woman who was highly literate in many branches of the sciences and philosophy of her times, as well as a renowned teacher and skilled craftsperson of scientific instruments, and who, for all those reasons, was assassinated by the forces of ignorance and fanaticism. Documents and deadlines: Nominations must be sent using the Nomination Form (below) to barcelona@acadeuro.org before Oct. 31, 2018 at 5:00 pm (GMT+1). A nomination is not considered delivered until the AE-BKH has sent the Nominator an e-mail confirming receipt. 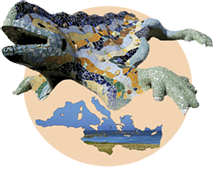 Candidates and Nominators: Candidates for the Prize must be nominated by a Member of the Academia Europaea (MAE) (Nominator 1), from any Section, and must have the support of an additional MAE (Nominator 2), also from any Section. Nominator 1 can propose only one Candidate. The two nominating MAEs must be from different countries. Although nominators must be MAEs, the Candidate does NOT have to be a MAE, nor a native of a European country, but she/he must have developed her/his career mostly in Europe. Areas of knowledge: The Prize will follow a three-year cycle and will rotate each year among three major areas of knowledge: a) Science and Technology, b) Life and health sciences, c) Humanities and Social sciences, as reflected in the current twenty-two sections of the AE and in the different areas of the European Research Council (ERC). The first edition (2018) of the Prize will recognise a research career focused on Science and Technology. Jury: The Prize winner will be selected by an International Jury during the first two weeks of Nov. 2018. The Jury will consist of five members: two designated by Academia Europaea, two by the Barcelona City Council, and one, who will serve as president of the Jury, appointed jointly by Academia Europaea and by the Barcelona City Council. At least two members of the Jury will be women. Selection: The Prize winner will be selected: for her/his research activities in Europe, on the bases of experience, career path and excellence; for the highest international level of her/his career and for the return it has generated to society, improving the quality of life of people; and for the impact on society and contribution toward different fields of knowledge that her/his career has made. At least one of the Prize winners in each three-year period will preferably be a woman. The Prize may be declared void by the Jury if deemed necessary. Notification: The proposed winner will be notified by the AE-BKH after Nov. 15, 2018. Award ceremony: The Barcelona City Council will organise an award ceremony scheduled for the end of Nov. 2018 to present the Prize winner. The Prize will consist of a monetary award of 30,000 euros. Prize lecture: At a later date (early 2019), the Prize winner will be invited to deliver a lecture on her/his research career in the Barcelona City Council’s Main Hall (Saló de Cent). Please, DOWNLOAD the Nomination Form in PDF format by clicking HERE. Nomination Forms must be downloaded, filled in following the contained instructions on it and sent to barcelona@acadeuro.org before Oct. 31, 2018 at 5:00 pm (GMT+1). A nomination is not considered delivered until the AE-BKH has sent the Nominator an e-mail confirming receipt.